Summer EPs have traditionally served as a means for K-pop groups to pursue different genres or go full-on-summery, like what GFriend and Red Velvet have done with “Sunny Summer” and “Summer Magic,” respectively. 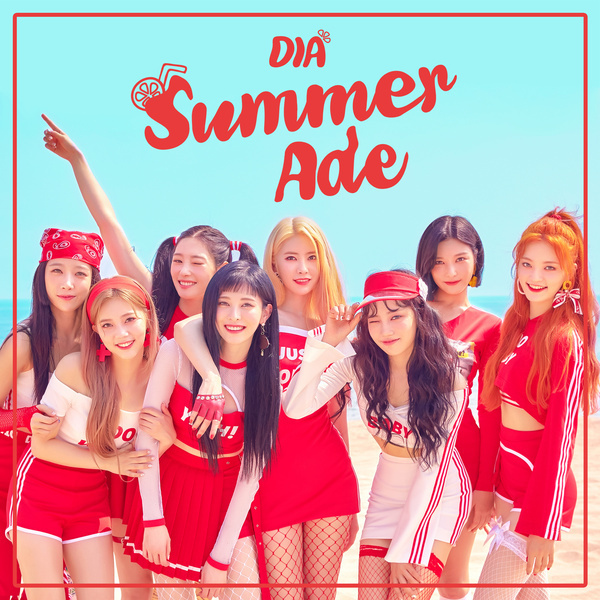 What DIA has done with its EP “Summer Ade,” however, doesn’t belong to either of the categories, ambiguously floating between two, once again. The eight-track EP kicks off with “Like U Like U,” a typical bubbly heart-fluttering pop tune with a message that doesn’t go deeper than “I like you, boy.” The song definitely feels good and sheds more light on twinkling synths than airy vocals; in other words, it sounds on the same level as previous DIA songs. Nothing special or dramatic here. Expectation goes up with the lead track “Woo Woo,” an outcome of DIA’s second collaboration with K-pop producer team Shinsadong Tiger, who produced the act’s debut single “Somehow.” Despite its use of Miami bass, a critical element in a summer tune, and the catchy refrain “woo woo,” an exclamation of the thrill of love, the song doesn’t sound as uplifting as the previous track. If compared to an ade, it is sweet enough, but lacks fizz. The best track in the album is probably “Pick Up the Phone,” a refreshing jam that features a clear catch phrase and a rather quirky hook, while Jueun’s first self-created song “Take Me” may put a smile on your face. The acoustic “Sweet Dream,” crafted by Yebin, sounds pleasant to the ears and the bluesy “Blue Day” rounds out the EP with a bitter vibe. DIA’s “Summer Ade” needs more pop.